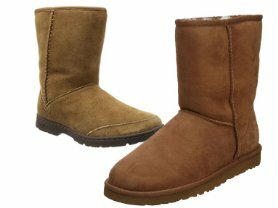 Hurry over because today (1/23) only you can save up to 45% Off on Uggs Women's Shoes! There are many styles to choose from! Sizes and colors vary by style but they are selling out fast! The Ugg Women's Classic Short Rosette is only $112.99 (Retail $190.00)!